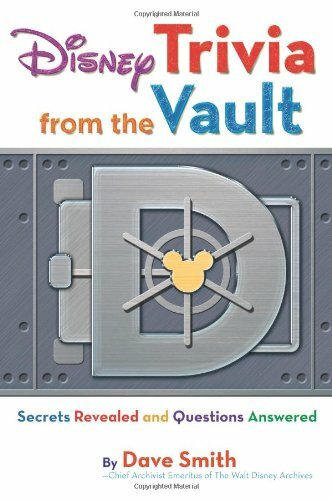 Over 1,100 questions have been fielded by Dave Smith, the now-retired Chief Archivist of The Walt Disney Company, and this book is a compendium of the most interesting and revealing of those queries. The book is divided into chapters that each cover an aspect of Disney history, including Disneyland, Walt Disney World, Disney films, Disney television, and Disney characters. Many of the questions bring up interesting information that has not been published elsewhere, and readers will delight in discovering some of the secrets behind their favorite movies and theme parks. "Did the same actress provide the voice of Maleficent, as well as the voice of Madame Leota, the head in the crystal ball in The Haunted Mansion?" "Who was the first athelete to say 'I'm going to Disneyland!'?" Only Dave knows the answers!